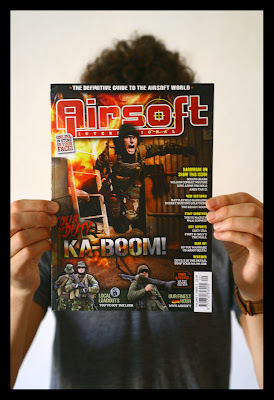 This is my 1st front cover - the world-wide distributed 'Airsoft International' for all you gun-lovers out there. Not for me personally but I heard airsoft guns are as safe as small plastic balls. As long as you remember to wear goggles. I wouldn't advise wandering around on the tube clutching one though. People have been shot for less.